I don't know how to get it linked so it shows the video. Haha, so much for being tech savvy. I remember the first time I heard this song, was back in 2009, during training one day. I never really caught the drift of the song back then, it sounded like any other song, just that it used the word "champion" ever so often. 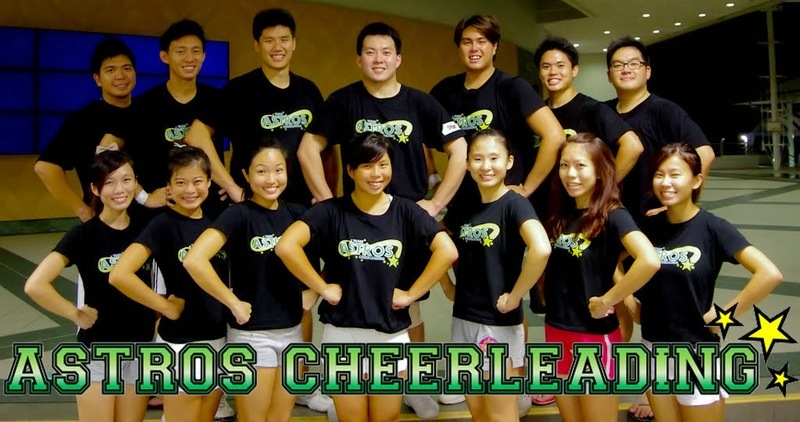 Then on the day of Cheerobics 2009, this is when the song made its biggest impression on me. It was not played during a routine, nor was it played when they gave out the trophy to the winning team. But it was when the players of the NTU ACES Team White sang the song while holding the trophy, the trophy which they worked so hard for, and when they sang in union (more of the bases actually) that I suddenly realized the true meaning of this song. I remember Kahweng was the one who started singing the song (more of the chorus actually) then Kaibin, Lixiang, Daniel, ZhiHua started to sing it as well. But through all these inconveniences, through all these obstacles, through all the sufferings, they pick themselves up. Again and again, one more time, one last time, just do it, don't hum ji, never try never die never know. So always remember in the darkest of all times, when your path is dark and weary, when all hope seems lost, remember. "I was born to be the best, number one and nothing less..."
Stop! This is the police!